Wedding photographer for Saratoga, Wyoming weddings Mark Creery Photography excels at showing off the amazing scenery the area offers while still highlighting your personalities. 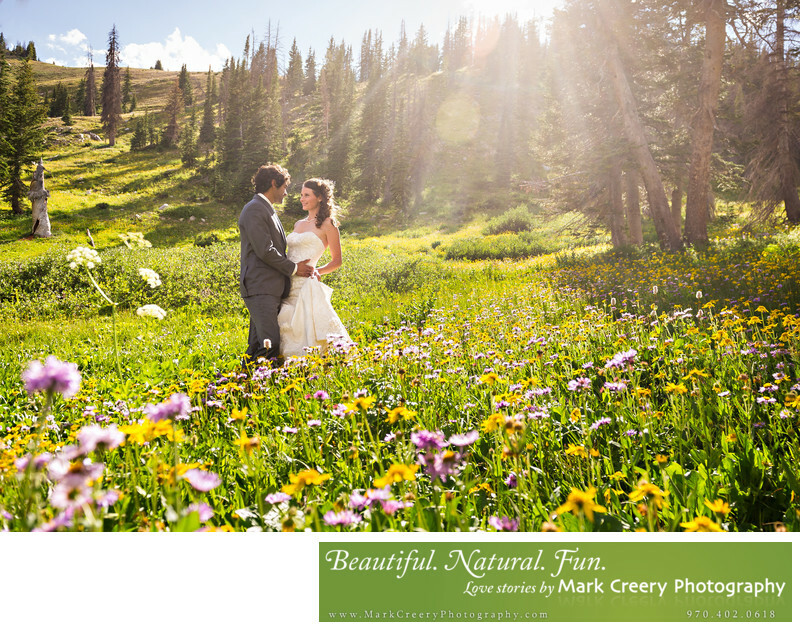 This wedding photo was taken in Medicine Bow forest in a field of wildflowers next to Lake Marie in mid-August. If you're looking for a photographer check out Mark's website and get in touch. Location: Medicine Bow Forest, Saratoga, Wyoming.